A highly affecting, emotionally charged journey, Violet boasts an intriguing premise, superb performances from a tight ensemble cast and an intricate, rich score with a distinctly American sound. 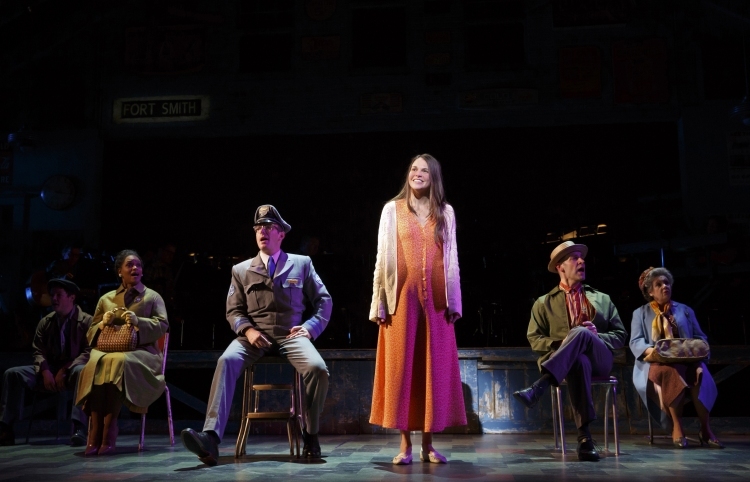 Returning to the spotlight in 2013’s inaugural Encores Off-Center series, 1997 musical Violet has finally come to Broadway as an ideal star vehicle for electric megastar Sutton Foster. 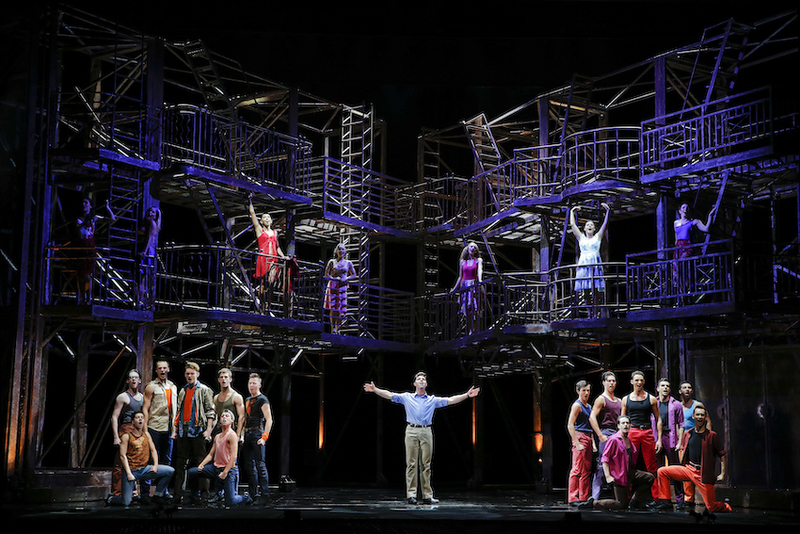 Composer Jeanine Tesori, who also penned Foster’s first big hit Thoroughly Modern Millie, has eschewed the usual brassy Broadway sound for a middle-American twang not heard as successfully as this since 1985’s Big River. Brian Crawley’s book and lyrics take hold of the heart and mind and do not let go for the 100-minute, interval-free running time, with the pat happy ending the only jarring moment in the impeccably judged script. Expanding on Doris Betts’ short story The Ugliest Pilgrim, the musical tells the tale of faith-filled young woman Violet who is off to meet the wizard, a televangelist preacher, to be granted her wish: a new face. Twelve years earlier, Violet’s left cheek was split by a dislodged axe blade as her father chopped wood. 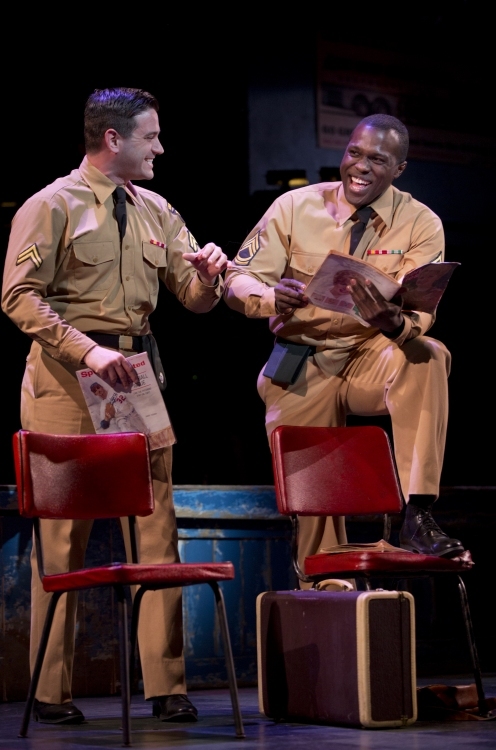 Travelling along the yellow brick road by Greyhound bus from her farm in North Carolina to Tulsa, Oklahoma, Violet picks up companions Monty (Colin Donnell) and Flick (Joshua Henry), a pair of soldiers on leave. The Wizard of Oz allegory is complete when Violet finally arrives in Tulsa only to meet the small man behind the flashy television presenter. As with Dorothy and friends, Violet’s miracle comes from the experiences of her journey rather than from any charlatan’s magic. The simple setting sees the band occupy most of the stage space, housed in a weathered blue bus station that flexibly adapts to a range of situations. Director Leigh Silverman ingeniously upturns the older-than-time stage trick of chairs representing seats on a bus by spreading the chairs across the stage, dispersing and turning them as needed to draw focus on the characters. Being set in the South in 1964, segregation stills impacts the choices of the passengers, both on the bus and at the rest stops. Silverman’s fluid staging weaves Violet’s memories and haunted dreams in and around the main action. Among Foster’s many achievements in her understated yet commanding performance is the tangible impact of Violet’s visions, which seem to be written into her very being. 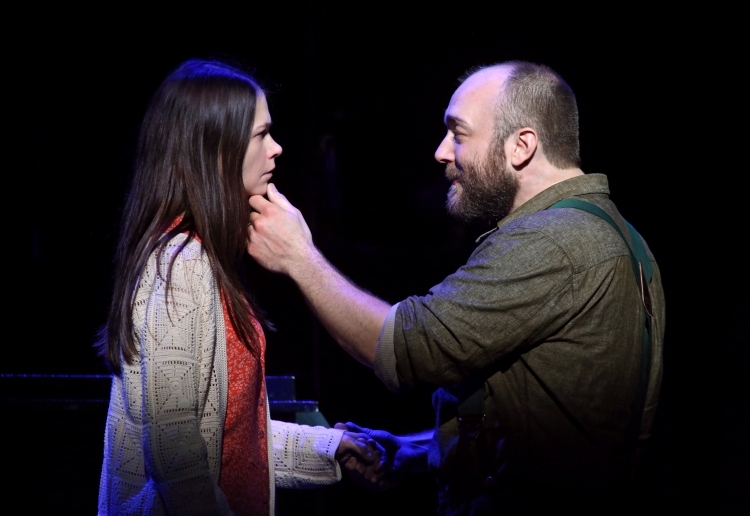 We see Young Violet, played with great pluck by Emerson Steele, interact with Father, the potent Alexander Gemignani, until adult Violet takes over in the visions, confronting her father for much-needed resolution of the past. At the top of Foster’s accomplishments in the role is the portrayal of Violet’s disfigurement without the use of any make-up or prosthetics. Foster conveys Violet’s pain and shame with heartbreaking conviction. Her singing, of course, is absolutely superb. Having seen worse in battle, Violet’s new soldier friends are relatively unperturbed by her facial scar. Colin Donnell, devastatingly handsome in an old-Hollywood way, is excellent as pleasure-seeking Monty. Joshua Henry brings great heart to Flick, a man also accustomed to being superficially judged based on his skin. Henry scores a sensational mid-show anthem “Let it Sing,” which brings down the house due to the combination of Henry’s talents, the soaring melody and the beautiful message of the words. Annie Golden adds strong support, creating a pair of deliciously contrasting roles as a kindly old lady and a well-past-her-prime woman of the night. The ensemble all play featured roles at various points. 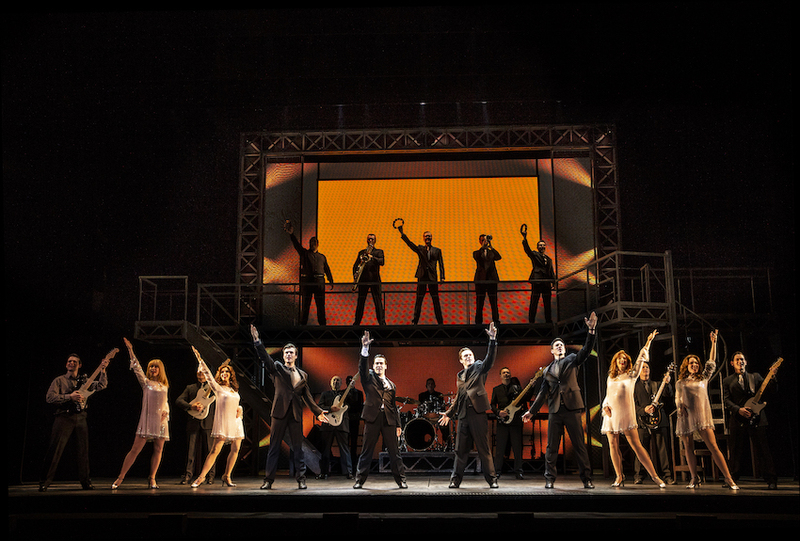 Vocals from the entire cast are excellent, with tight harmonies significantly enhancing the wonderful music. 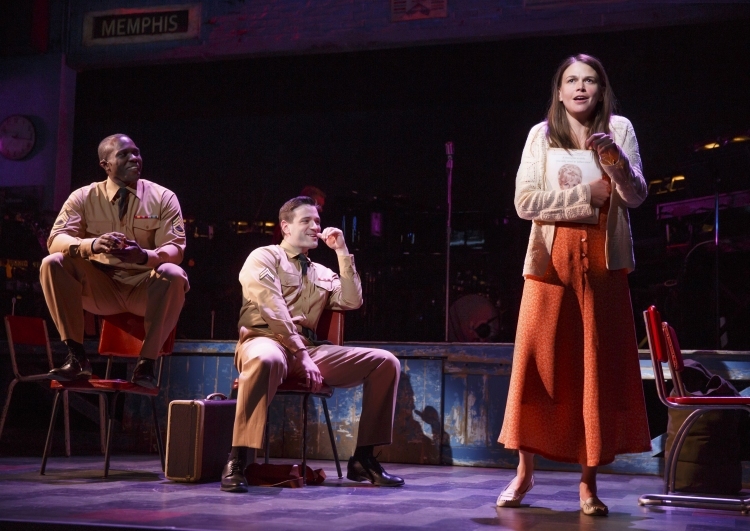 A potential sleeper hit, music theatre fans will surely adore Violet, with a wider audience hopefully attracted by the presence of Sutton Foster as well as what should be great word of mouth. 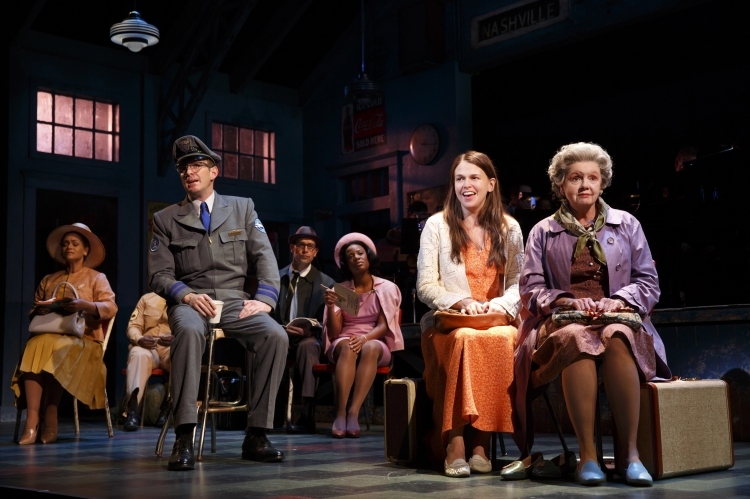 Violet was reviewed 2pm Sunday 6 April 2014 at American Airlines Theatre, New York, where it officially opens on 20 April 2014. I’ve been a Sutton Foster-holic ever since she played Millie, and I had the privilege to see her as Princess Fiona in Shrek when I did a Broadway crawl in early 2009. How lucky you are to see this show, and how grateful I am that you have reviewed it. Thanks again for sharing your Broadway experiences. 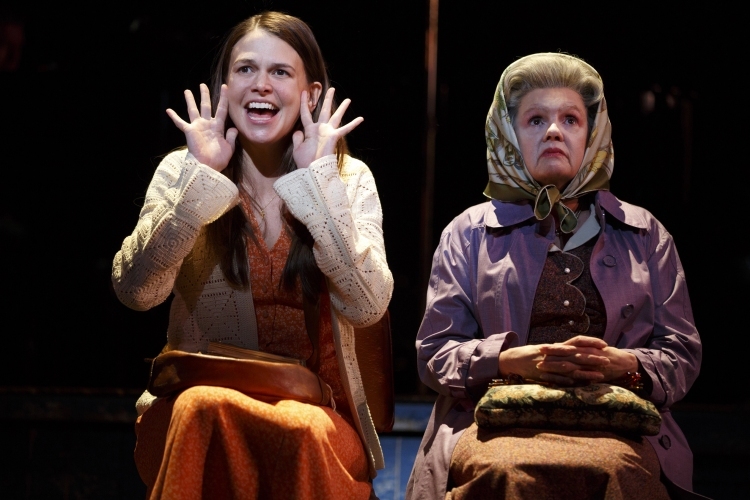 Glad to hear that someone else is as devotee to Sutton Foster as I am. I have seen her in Millie, Young Frankenstein, Anything Goes and now Violet. I’m jealous you saw her in Shrek. There is a bit of a parallel here in terms of the character singing with her younger self. To think of how glamorous Sutton was as Reno and now she is so unadorned as Violet! It could actually be her best performance. I think it is her most dramatic. You will be glad to hear that not only is cast recording of Violet coming out soon, but it is to be a 2CD set! I cannot wait hear this music again! Hey Mark, nice work. i look forward to your review of Violet. 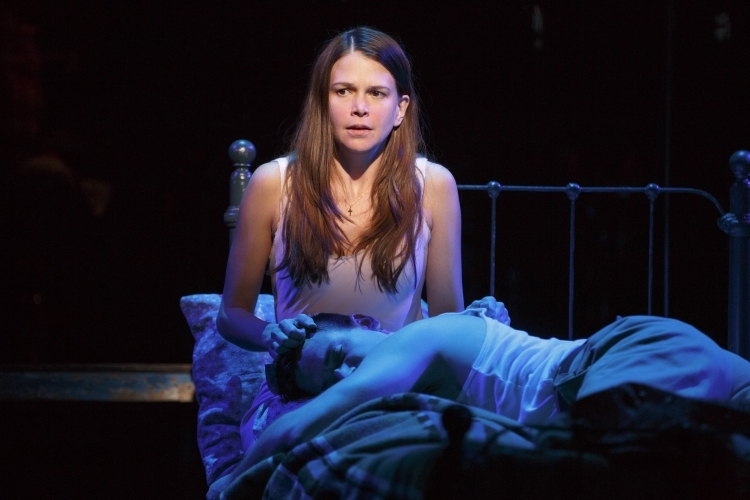 I have been thrilled to read its reviews, especially the raves for Sutton Foster, who is a particular idol of mine. I hope you still get to A Gentleman’s Guide at some stage, plus maybe Cabaret (looking forward to its reviews this week, plus those for Hedwig). Heathers may still open on Broadway at some stage so that would be a good chance at which to see it.